Herbs have become quite popular for a variety of uses. In almost all grocery stores and specialty markets herbs are readily available. However, there is some concern as to what contaminants store bought herbs have been exposed to. That is one reason you should consider building your own herb gardens with reclaimed wood. If you are already considering building your own herb garden out of reclaimed wood, you just need to know: it takes a little bit of work but the benefits far out way the responsibility. 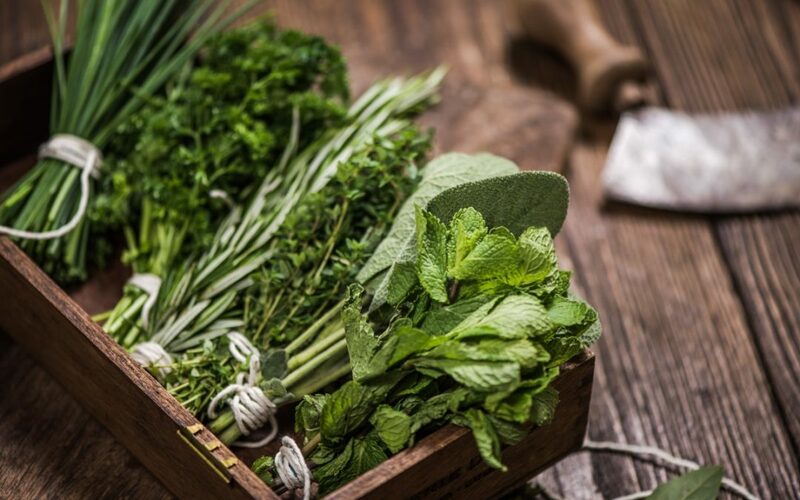 Cooking with fresh herbs can really kick your recipes up a notch. Herbs accentuate food and add layers of flavor. Even if you do not want a large herb garden you can make a small window box out of reclaimed wood that can sit right on the countertop for easy access. Herbs have also become popular for holistic remedies for common ailments. The common cold, trouble sleeping, and even arthritis can be muted with herbal recipes. Whether you are cooking with herbs or using them for medicinal purposes most recipes only call for a small amount. This is why you need to consider building your own herb garden out of reclaimed wood. Instead of buying large bunches (which is how most stores sell herbs) and wasting most of it you can simply have your own plants to simply take what you need. Even if you are a plant lover and are not necessarily into cooking or using herbs, an herbal garden made from reclaimed wood can be a refreshing addition to your home or outdoor garden. The types of herb gardens made from reclaimed wood are endless. Despite the size, shape, and intricacy using reclaimed wood to build your herb garden is a must. Reclaimed wood is durable, rot resistant, sturdy, and long lasting. If you are looking for an indoor herb garden design made with reclaimed wood, you can do so no matter how much available space you have. Reclaimed wood countertop herb garden can be small and rectangular holding only one or two herbs are larger with multiple planting compartments. It can sit on your countertop or in a windowsill for adequate growing conditions and will be within reach while cooking. If you want to create an outdoor herb garden using reclaimed wood, you can build square or rectangular planters that can hold multiple varieties. This is a great option if you have a small deck or patio will limited space. If you do not have open outdoor space to set a planter you can build a wall herb garden with reclaimed wood. Using a ladder like formation with individual planting compartments that can lean up against the house gives a lot of growing space by using otherwise wasted space. Or you can make a hanging herb garden out of reclaimed wood that you can attached small pots too or build individual containers on. These generally lay flat to the wall and have pots extended from them or built into the frame. If you are looking for something with more of a traditional garden set up, you can use reclaimed wood to line out growing areas directly in your yard. Using pieces of reclaimed wood in the same way that you would use railroad ties you can create an incredible outdoor herb garden. Here at Rocky Mountain Reclaimed, we proudly offer a wide variety of reclaimed products through relationships we have with distributors. If you’d like to see what options we can offer you (whether you are looking for true reclaimed products of faux reclaimed), give us a call! We’d be happy to talk you through our available stock!